Senior kicker Cade York, No. 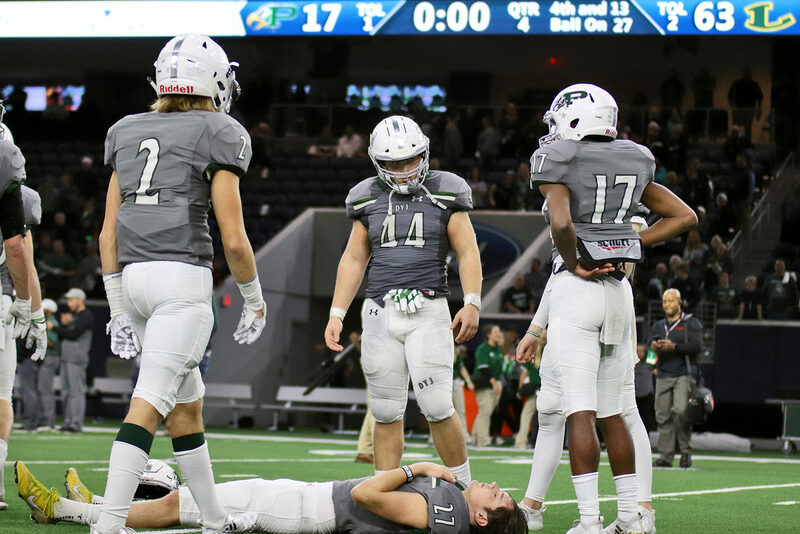 27, lays on the turf to reflect on his last football game as a Prosper Eagle. Fellow teammates Derien Ivy, No. 2, Aidan Sciano, No. 44, and Tyler Bailey, No. 17, gather around York. The Eagles fell 63-17 to the Longview Lobos Saturday night at The Star in Frisco. Varsity players, led by Cameron Valtierra, No. 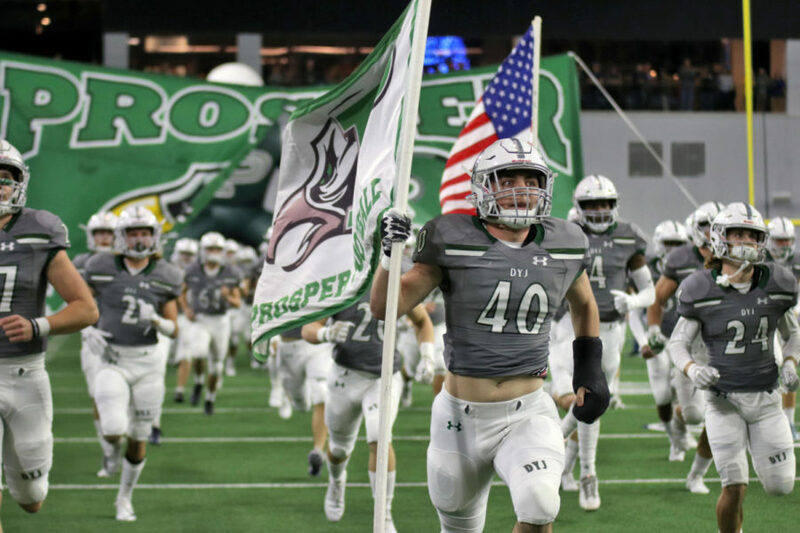 40, run through the banner at the start of the Nov. 24 game against Longview. The Eagles were knocked out of the playoffs with a loss to the Lobos. "We all played our hearts out and enjoyed each and every second of it," No. 21 Julian Britt said.